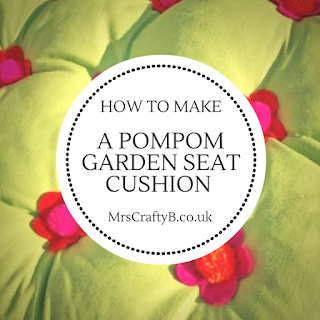 Here is how to use your multiple pom poms to decorate a cushion. 1. Choose a square cushion with a plain cover or make a plain cushion cover in a fabric of your choice. 2. Divide the measurement of each side of the cushion by 4. 3. 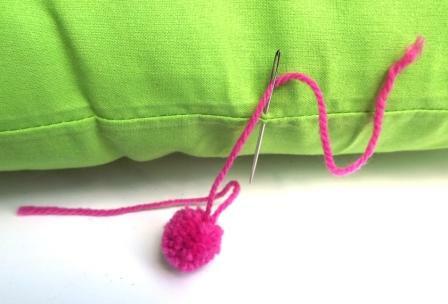 Measuring this distance across the cushion, place a pin to mark the cushion at 3 points across and 3 points down. Adjust whilst measuring to ensure the 9 points are evenly spaced. 4. Repeat this on the other side of the cushion. 5. Put a tiny pencil mark where the pins cross. 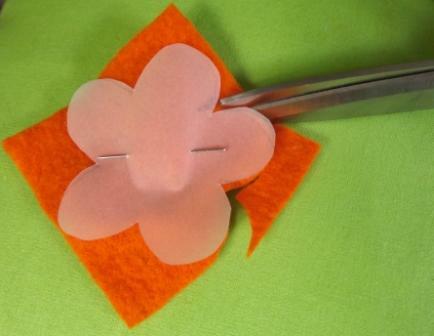 This is where you will place the 9 flower shapes and pompoms. 6. 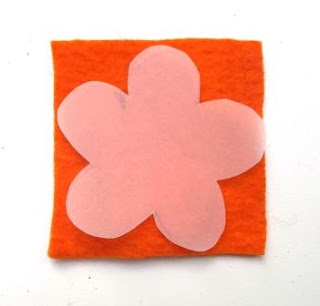 Cut 9 squares of felt each approximately 6cm square in colours of your choice and cut a flower shape out of each. By starting with a square this will ensure they are all approximately the same size. Cut a paper pattern to follow if required. 7. 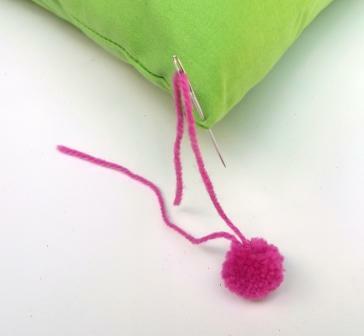 Use a Multipom pompom maker to make lots of pompoms each approximately 2 – 3cm diameter. You will be able to make 8-12 identical ones at a time with your Multipom. 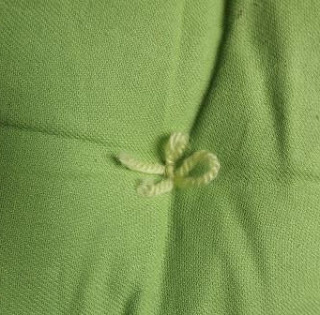 9 will be needed for the flowers and extra will be required to decorate the corners or edges of the cushions. Once again, make these in any colours of your choice and using any yarn. If the yarn you’re using to make the pompoms is weak, use a stronger yarn to make the ties. 8. 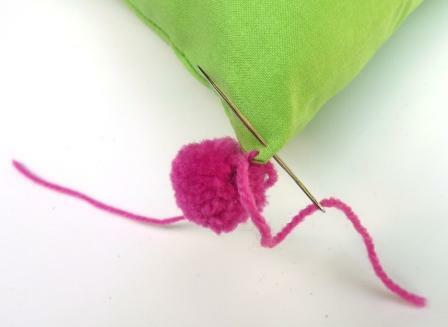 Using a large eyed sharp needle (a chenille needle is ideal), pass one tie of the pompom through the felt flower and right through to the back of the cushion, matching the pencil marks on either side. Repeat with the other tie a short distance away, pull tight to pull the cushion pad in and secure with a double knot on the back. 9. The ends can be finished off with a bow or passed back through the pompom on the front. 10. Repeat for all 9 ‘flowers’ to produce a tied quilted cushion. 11. The corners or edges of the cushion can be decorated by attaching pompoms to the cushion in the same way as above ie. Passing each tie of the pompom through to the back a short distance away from each other before tying in a double knot on the back. Now you have your finished Multipom garden seat cushion! Thanks so much to Multipom for sharing their tutorial on how to decorate a cushion using lots of pompoms. Who doesn't love pom poms? What was the latest pom pom project you worked on? Really appreciate your work. hand made things are always great. I'm using natural oil like Cold Pressed Oil In Chennai.